Have you given much thought to the roof on your home lately? Chances are, you haven’t. Don’t worry, most home owners never think about the roof on their homes until there is a problem. But taking a more proactive approach to your home’s roof can help it last much longer. And with the price of roofing going up year over year making sure you can get the most out of your roofing in Ann Arbor Michigan can certainly help. 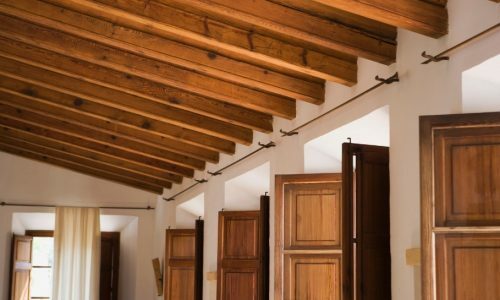 We’ve included some of the factors that have the most impact on your home’s roof and more importantly, what you can do to implement these items to make your roof last a long time. 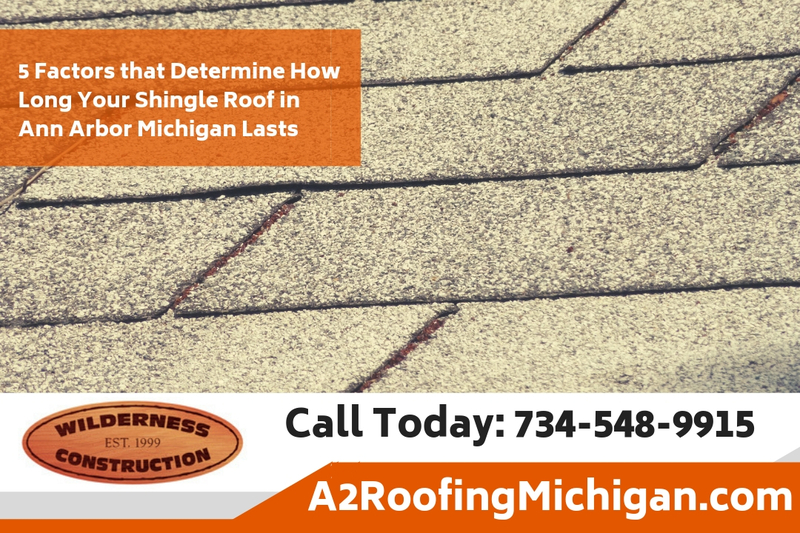 While statistics show that shingle roofs typically last approximately 17 to 19 years, this number is dependent on a variety of factors. That being said, if your roof withstands certain conditions or you don’t properly take care of, then your roof might not last until the 17-year mark. 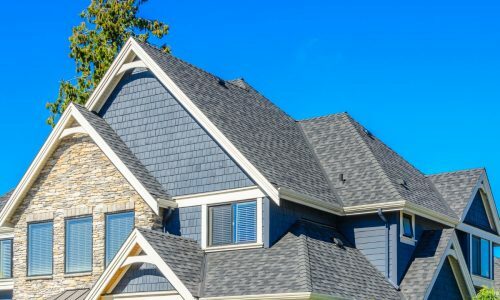 So, continue reading to learn about five influential factors that ultimately determine how long your shingle roof lasts. Debris is one of the main threats to your shingle roof. If debris isn’t properly cleaned, then it could accumulate over time and cause a ton of damage, such as scratches, missing shingles, and even excess weight that decreases your roof’s durability and resilience. That being said, the easiest way to control the amount of debris on your shingle roof is to ensure you routinely clean it. Moss ultimately speeds up your roof’s aging process. So, if your roof has an excess amount of moss, then it will most likely prematurely age. Moss is so detrimental to your shingle roof because it can grow and embed itself within shingles, ultimately ripping them up and exposing your roof’s insulation. Of course, if your roof insulation is exposed, then moisture, debris, and other factors can penetrate it and cause further damage to your home. In order to avoid moss accumulating on your roof, simply regularly scrub or pressure wash your roof. Severe weather, such as high winds, heavy rain, snow, and hail threaten the durability, resilience, and function of your shingle roof. While you can’t control the weather, there are certain steps you can take to protect your roof. For example, make sure the shingle you choose is adequate enough to protect your roof and home during the weather and climate that your area experiences. It’s also important to inspect your shingles and overall roof after periods of extended inclement weather. Superior ventilation can actually increase the longevity of your shingle roof. This is largely because proper ventilation prohibits mold from growing in your attic. Another pro of proper ventilation is the fact it minimizes excess moisture and heat, which are two aspects that are known to damage and speed up the aging process of shingle roofs. That being said, consider installing a phenomenal ventilation system if you want to extend the lifetime of your shingle roof to its full potential. Lastly, the manufacturer and contractor ultimately play key roles in how long your shingle roof will last. For example, if your shingles and roof are crafted with superior materials and attention to detail, then you shouldn’t have to worry about any manufacturing faults. But, it’s ultimately dependent on your contractor to properly install your shingles and roof. 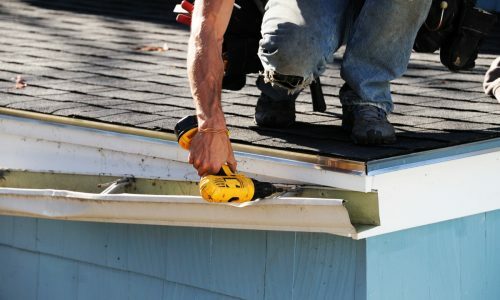 If they aren’t as skilled or experienced, they might not use the right tools or techniques when installing your roof. 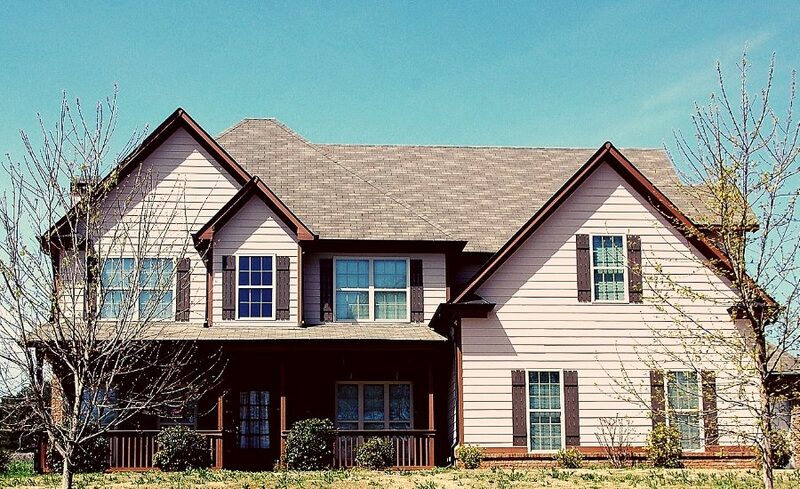 Even if your roof is made of durable materials, a subpar installation will decrease its resilience, durability, and lifetime. That’s why it’s important to hire a reputable contractor that you can trust to not cut corners. If you’re concerned about the roof on your home be sure to call the experts at A2 Roofing today at 734-548-9915 they have an excellent track record of satisfied customers in the Ann Arbor Michigan area. Plus, they are fully qualified and licensed roofing contractor in Ann Arbor Michigan. 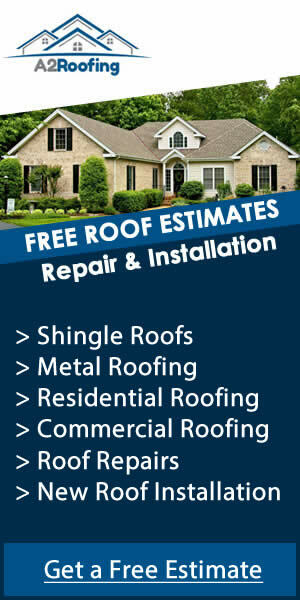 Call today to get started with their free estimate service on your roof repair or full roof replacement.